Finding a great deal on a new or used car that satisfies all of your needs and wants can be tricky. With so many Ford Mechanicsburg PA dealers in the local area, how are you supposed to determine which one will provide you with the optimal car buying experience? Variety is highly important when you’re searching for the ideal car, truck or SUV for you and your family. Whether you’re an experienced car buyer or are shopping for your very first ride, you should shop with a trusted dealer that offers a broad array of new and used cars for sale in PA.
Bob Ruth Ford is the premier car buying destination in the Mechanicsburg PA area. We carry a wide range of new, used and certified pre-owned vehicles in our expansive vehicle inventory. As the leading Ford dealership near you, we know that you expect a lot from your shopping experience. You need a great selection of vehicles to choose from, and a friendly staff of car experts to help you along the way. You’ll find all of this and much more when you shop with Bob Ruth Ford. You’ll be hard pressed to find a Ford dealer near you that can compete with our low prices. We use the latest technology to price our vehicles to be the most competitive around. It’s part of the reason that people come from all over PA to buy from Bob Ruth! Whether you’re in the market for a brand new Ford SUV or one of our many used cars for sale - you’ll be sure to find a great deal on a vehicle that will provide you with many years of happy driving. Our massive inventory of over 400 vehicles means that we have a car, truck or SUV in stock that will be a great fit for your unique needs. All that’s left is for you to come and find it! 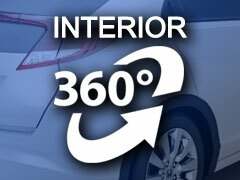 Everyone wants a vehicle that has the latest features, but sometimes buying new isn’t a feasible option. Not to worry - you can still score an excellent deal on a modern vehicle that’s packed with great new features by buying used! Some people mistakenly think that buying used means getting a second-rate vehicle and that purchasing a pre-owned vehicle means sacrificing quality for savings. That may be how it is at some other Ford Mechanicsburg PA dealers - but not at Bob Ruth Ford! We’ve searched all over Pennsylvania and beyond to bring our Mechanicsburg customers an impressive stock of Ford used cars and pre-owned vehicles from many of the hottest selling brands. From fuel-efficient sedans that will handle your commute like a champ, to powerful pickup trucks with enough power under the hood to tackle your most demanding jobs - we’ve got all sorts of excellent cars, trucks, and SUVs to choose from. Maybe you’ve been hunting for a roomy SUV with space for your whole family. In that case, you should check out an excellent used Ford SUV like the Ford Explorer. The Explorer has been one of the best selling SUVs in the nation for many years - and for good reason! This spacious vehicle is loaded with all sorts of high tech comfort and safety features. Premium leather seats give the cabin a luxurious look and make it easy to keep your seats clean. The 3rd row seats are great for when you need extra passenger room, and they fold away to make space for extra cargo when the need arises! A navigation system will ensure that you’re always in the best route to your various PA destinations. The Sync Connect system makes pairing your Bluetooth devices fast and hassle-free. With the satellite radio, the whole family will stay entertained as you listen to your favorite stations from anywhere. The Ford Explorer is available in all kinds of gorgeous colors like Shadow Black and Ingot Silver - you’re sure to find one that matches your tastes! Not the vehicle you’re interested in? Check out our used car superstore to get a look at all of our excellent pre-owned vehicles. You can browse by make, model, price and more to narrow down your results and find the car of your dreams! Shopping for Ford used cars is easy and enjoyable at Bob Ruth Ford. Picking out your next car is an exciting experience, but there’s one last step before it can be yours. You need to secure financing! The thought of applying for a car loan can make many buyers nervous, but rest assured that the whole process is fast and easy at Bob Ruth Ford. You can get pre-approved online in seconds, saving you valuable time at the dealership. It’s always a smart move to get pre-approved before you begin shopping, that way you’ll know exactly how much car you can afford. We work with all credit situations, so whether your credit score is outstanding or not so great, we’ll be glad to help you obtain the financing that your situation requires. Our helpful finance specialists are ready and waiting to answer your questions and walk you through the whole process from start to finish. Qualify for the car loan you need to get the ride of your dreams at Bob Ruth Ford!